The cadenced prose beats in perfect time with the pulse of the slumbering city, where only the strange is awake. The atmosphere is old, dirty, often sordid, and yet, somehow, glorious….The translation is almost perfect. 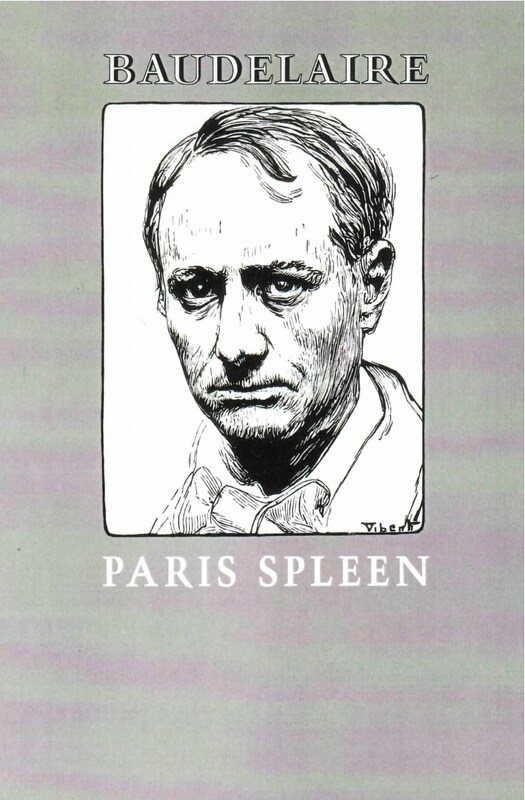 Baudelaire composed the series of prose poems known as Paris Spleen between 1855 and his death in 1867. He attached great importance to his work in this then unusual form, asking, “Which one of us, in his moments of ambition, has not dreamed of the miracle of a poetic prose, musical, without rhythm and without rhyme, supple enough and rugged enough to adapt itself to the lyrical impulses of the soul, the undulations of reverie, the jibes of conscience?” In his biography of Baudelaire, Lewis Piaget Shanks calls Paris Spleen “the final expression of the poet’s vision of the world, of his melancholia, his idealism, his desperate desire to flee from the prison of his subjectivity, his furious longing to find some escape from the ugliness of modern life. They are the center of his work: absolutely devoid of pose, they explain all the rest of it.” Where Baudelaire treated the same theme both in Paris Spleen and in Flowers of Evil, Enid Starkie finds the prose poems “more mature in conception, containing more harmony in the contrast between the flesh and the spirit.” Several of these “corresponding” poems are given in an appendix to this edition. The final expression of the poet’s vision of the world, of his melancholia, his idealism, his desperate desire to flee from the prison of his subjectivity, his furious longing to find some escape from the ugliness of modern life. They are the center of his work: absolutely devoid of pose, they explain all the rest of it.